Finance ministry may scrap tax exemption. The Finance Ministry may scrap tax exemption on interest income of up to 20,000 baht a year after finding small banks advised savers to evade taxes. Finance Minister Apisak Tantivorawong said some small banks have advised their customers to evade the 15% withholding tax when their earned interest income reached 20,000 baht. They told their customers to close their bank accounts and then open new savings account instead to dodge the 15% withholding tax, he said. He said interest on savings deposit is counted daily and will be paid to savers twice a year. So when the interest income is approaching 20,000 baht, these banks will notify their customers to close their savings account and open new accounts to dodge the taxes, he said. 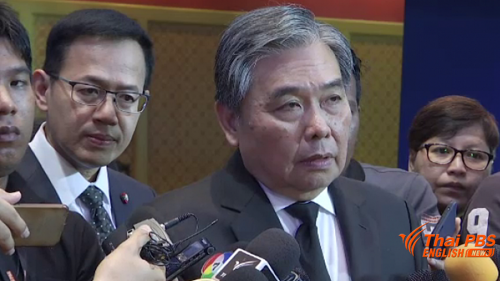 The minister said he has ordered the Revenue Department to plug a loophole in this tax exemption which might be the abolishment of the tax exemption, and the amendment of the regulation to require people earning up to 20,000 baht in interest income to attach documents for tax exemption in the submission of their annual tax forms. Other possible choices might be a call on the Bank of Thailand to tighten stricter supervision of financial institutions that apply such practices or to have a clearer punitive action for such exploitation of the tax exemption. Commenting on an asset management firm issuing prospectus to convince investors that it would invest their money in large and respected corporations, but instead investing in high-risk securities, the minister said it was found that the firm invested in high-risk promissory notes and later defaulted its investors. But he said authorities couldn’t take legal action on the firm as it claimed that it had stated in its prospectus about investment in high-risk securities. However, he said the Securities and Exchange Commission and the Stock Exchange of Thailand might have to tighten stricter control on monitoring the issuance of a prospectus by its members.